A retired senior military officer and one time governor of Kaduna State, Mouktar Muhammed, is dead. He had earlier served as the Minister of Housing, Urban Development and Environment from 1976 to 1977, following the coup that brought Murtala Mohammed to power, in which he played a role. Mr. Muhammed was famously head of one of the military tribunals that tried second republic politicians suspected of corruption under the military administration of Muhammadu Buhari, from1983 to 1985. Many of those politicians were sentenced to decades in prison. On toppling Mr. Buhari in 1985, Mr. Muhammed had a short-lived stay in the coming Ibrahim Babangida regime, due to his disagreement with the “palace coup” that ousted Mr. Buhari. From 2002, he spearheaded activities of The Buhari Organisation, TBO, a political group that championed the aspiration of Mr. Buhari to become Nigeria’s civilian president. He was, last year, named as chairman of the governing council of the Ahmadu Bello University, Zaria. 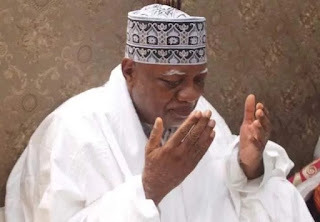 Until his death, Mr. Muhammed, who held the title of Wazirin Dutse was deputy chairman of the Board of Trustees of Arewa Consultative Forum, ACF. He was also chairman of Kano-based Freedom Radio.